We all used to cringe when our parents would speak of the “good ol’ days” or when our grandparents would start a sentence with “I remember when”. Yet here we are, two decades since the ‘90s and I think we can all fondly hear the Fresh Prince of Bel-Air theme song ringing somewhere in the back of our heads. The ‘90s were a great decade, so you can’t blame us for missing it. It ushered in a new era of media from cable television to the World Wide Web, it brought us grunge and hip-hop music and Leonardo DiCaprio. So it’s understandable that this particular decade would hold a special place in our hearts. And to celebrate our love for the ‘90s we decided to use it as a theme to Spice (Girls) up our desks. Friends is arguably one of the most iconic sitcoms. Ever. And we all have a Monica in our group (and if you can’t think of who it is, it’s probably you), the hyper-organized, competitive and ambitious friend. 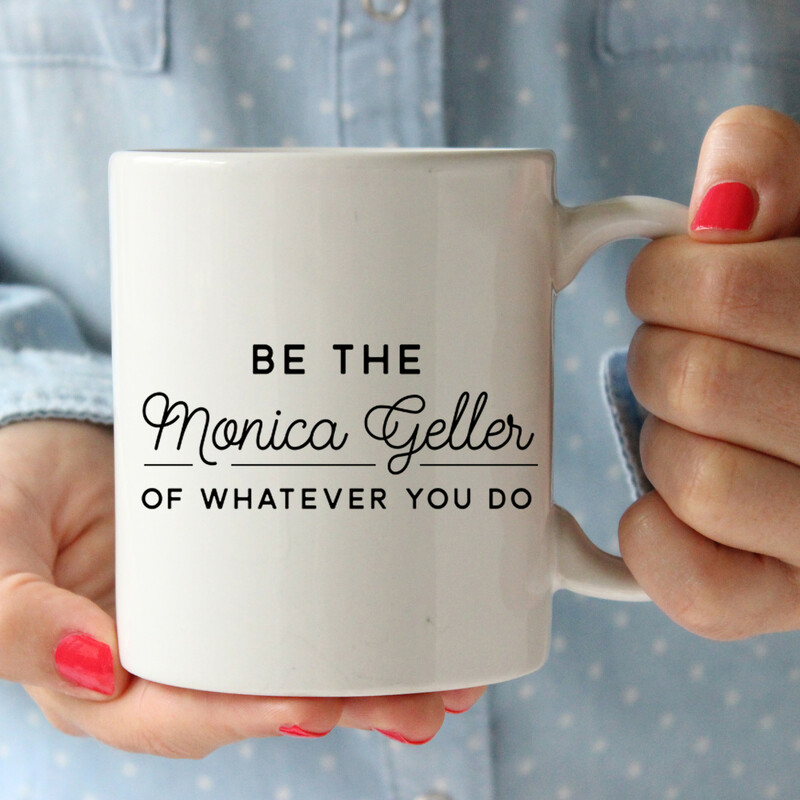 But perhaps we could all use being a bit more like Monica… At least in the office. Remember the days before Spotify and Pandora? High School sweethearts would record mixtapes of songs highlighting their love for one another? Cue Meatloaf’s ‘I Do Anything for Love’. 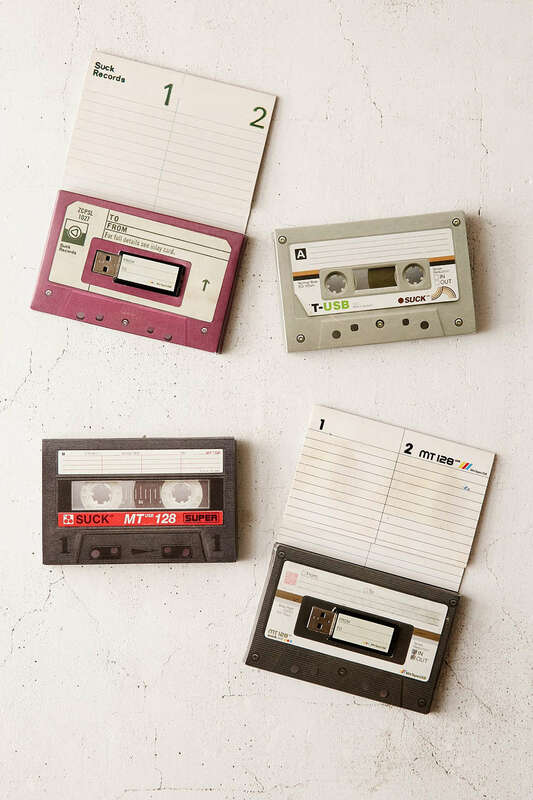 Take those sentimental memories with you in the form of this tape shaped flash drive. Warning: These don’t come preloaded with Celine Dion’s Greatest Hits (but we’re not going to judge if that’s what you put on it). 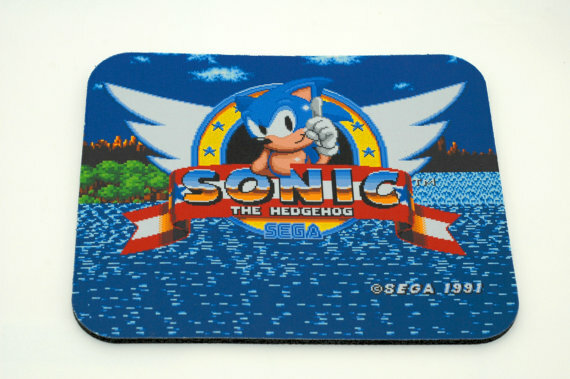 Keep it old school with this Sonic the Hedgehog mousepad. Perfect for the gamer ‘90s kid, this office essential is sure to take you back to the days of video games in your parent’s basement. Be sure to check out the shop’s other throwback mousepads including Zelda and Super Mario Bros.
For those who remember the days before PokemonGO, and even before Pokémon on your Gameboy to the days of Pokémon trading cards. 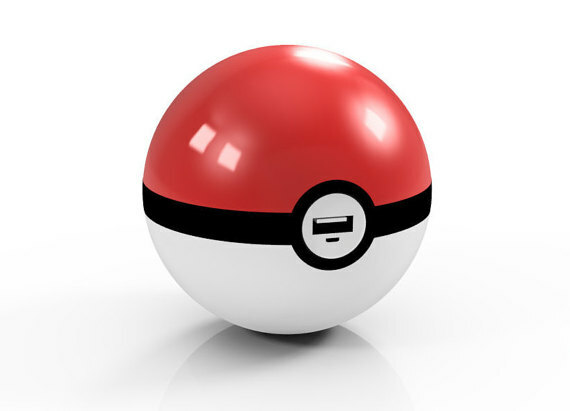 Whether you preferred Squirtle or Charmander, this phone charger is bound to make desk life a little easier. Especially, when your office is a Pokestop like the KellyMitchell St. Louis office. Looking for a way to add some bedazzle to that training guide or sales manual? 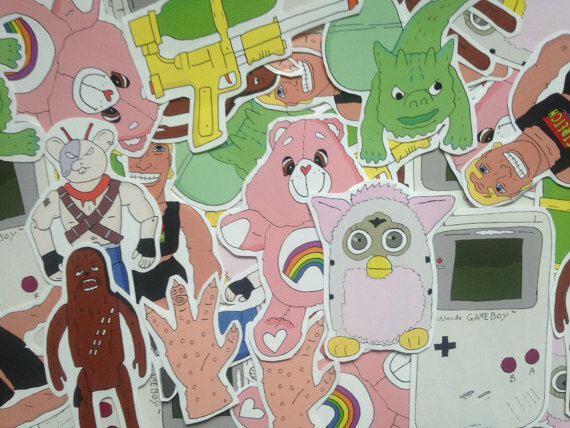 Look no further than these throwback stickers. The illustrated versions of some of your favorite childhood toys are sure to be a hit in the office! And you’ll never have to worry about your cube neighbor “accidentally” grabbing your binder. 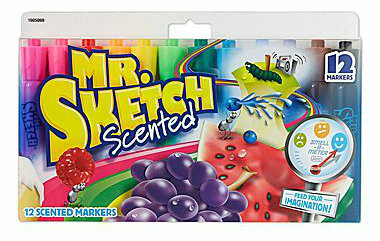 This ‘90s staple as officially made its way from your toy box to your desk. 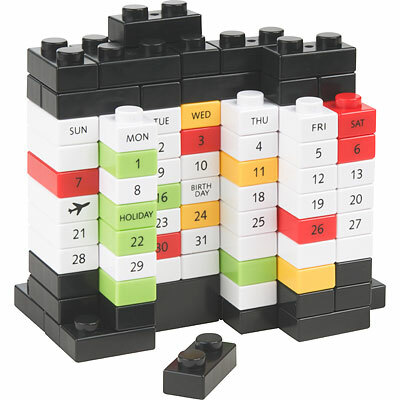 With so many different ways to present each month, there’s no way to get bored with this on your desk. Added benefit, it never expires. 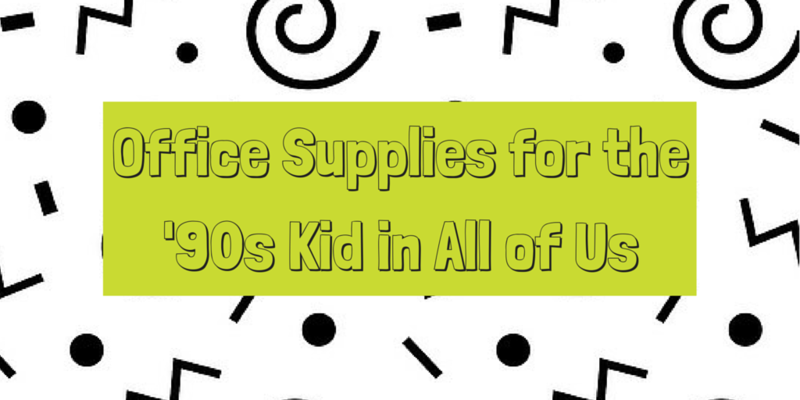 What you thought we were going to get through a blog about ‘90s themed office supplies and we weren’t going to mention Lisa Frank products? Jokes on you. 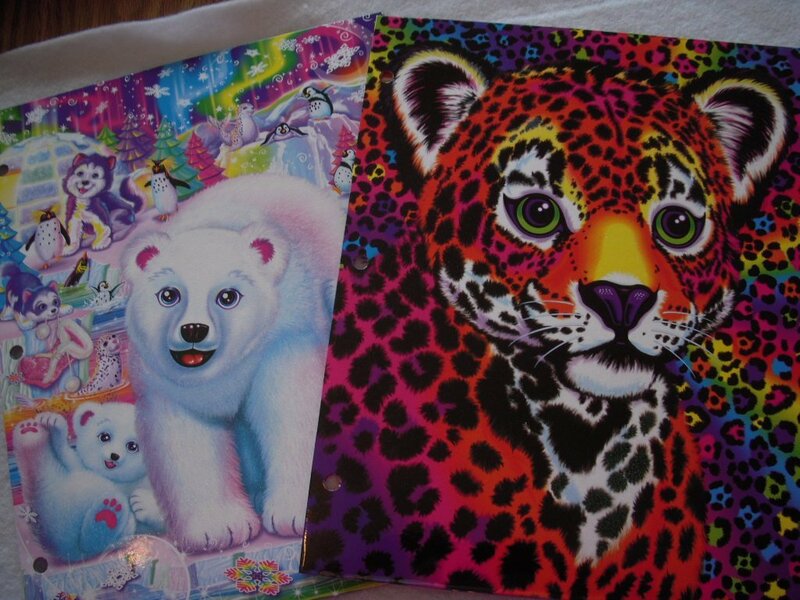 These items were a pivotal part of any ‘90s girl’s back to school shopping and though not produced anymore, there is quite the treasure trove of Lisa Frank products on Amazon. Because like no pencil box was complete without these nor is any office. Enough said.